Our firm places a particular emphasis on helping people throughout Massachusetts fight workplace discrimination, harassment, retaliation, hostile work environment, whistleblower violations, and wrongful termination. We handle the full range of state and federal employment law matters. Our attorneys have widespread experience defending individuals and businesses accused or suspected of committing serious criminal violations of State and Federal law. The criminal defense attorneys at the Law Offices of Timothy M. Burke fight to protect clients charges with a felony, misdemeanor or OUI offenses. 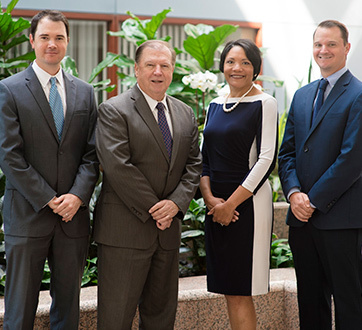 Since 1986, the lawyers at the Law Offices of Timothy M. Burke have protected the rights of employees through their labor organizations, earning the firm a distinguished reputation for their aggressive representation, committed counsel, and ability to handle complex negotiations with professionalism. "The Law Offices of Timothy M. Burke is devoted to working with its clients on a personal level, designing legal strategies and solutions specifically tailored to achieve the client’s objectives. " "Our reputation as excellent litigators stems from a legal team that consists of a former prosecutor, experienced civil trial and criminal defense attorneys, and leaders in the areas of labor union representation, employment law, and registry matters." "The Law Offices of Timothy M. Burke has successfully represented clients in a broad range of legal areas, including Civil Rights Defense, Criminal Defense, Divorce, Employment Discrimination, Labor Union Representation, Motor Vehicle/Registry, Personal Injury, and Real Estate." Dale Eason disqualified himself from being a police officer when he falsified information on a report, an attorney representing the Pittsfield Police Department argued before the state's highest court. But his attorney contended other officers have not been held to the same standard, and that an arbiter's ruling that he be reinstated should stand. The Supreme Judicial Court heard arguments Monday over the city's effort to block the arbiter's ruling, which called for Eason to be reinstated following a three-day suspension for falsifying a police report. After a retrial sparked by a legal error, a Worcester Superior Court jury Friday awarded $885,000 to a Millbury official who alleged Worcester Sheriff Lewis G. Evangelidis' office fired him for reporting illegal campaign activity at the jail during the 2010 election. Our firm has a proven track record of positive outcomes and an established history of client satisfaction. We have amassed significant legal experience through our practice in the Massachusetts Trial Courts, Appellate Courts, and Federal Courts, as well as in collective bargaining, arbitrations, and other alternative dispute resolution.